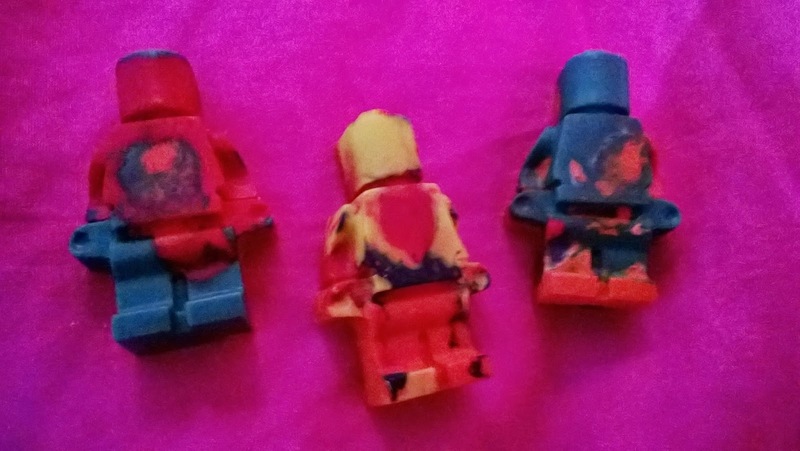 Trials & Tribulations Of A Brummie Mummy: How to Make Simple Lego Crayons. 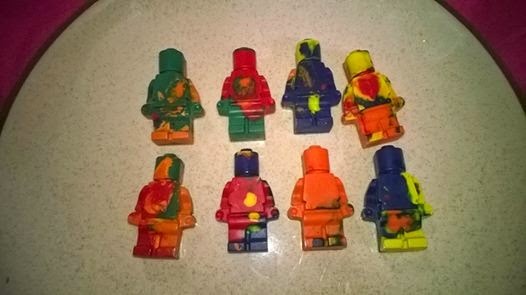 How to Make Simple Lego Crayons. We have been picked to host a Lego movie party the weekend. Included In the pack is a huge Lego set but we thought of making some crayons. I'm gonna print out some colouring sheets so the kids can colour them in to take home. I got the plastic Mold from eBay for £2.99. 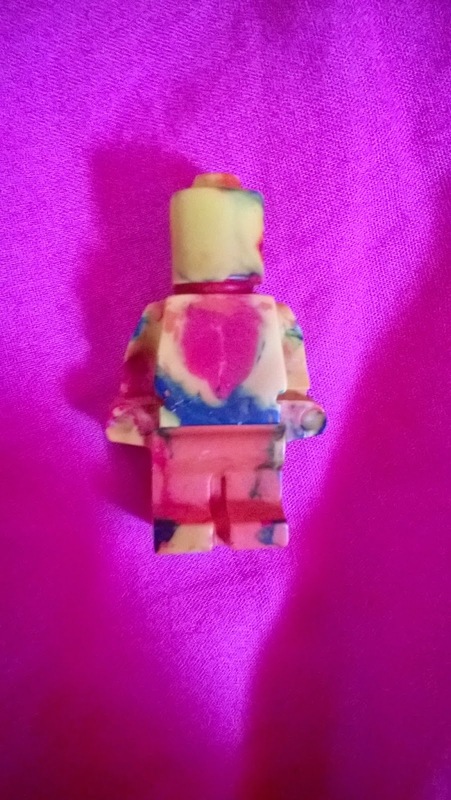 All you do is cut up old/new wax crayons pop them in the mold and put in the oven for around 5 minutes till the wax has melted then just leave to set again. i popped them in the fridge once they had cooled down a bit. Once dry pop the crayons out and there you go brand new crayons. 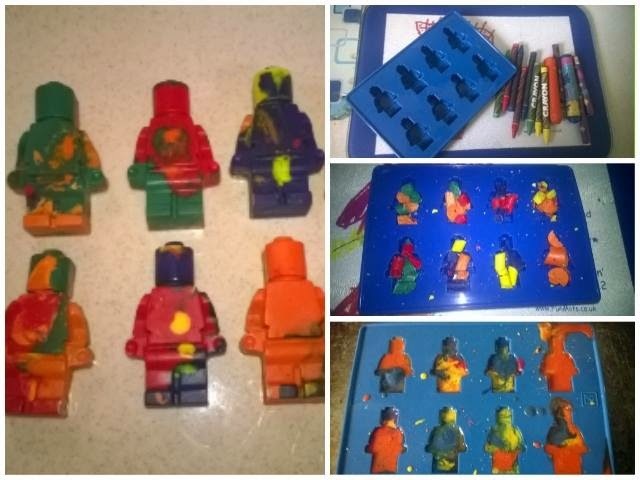 Perfect solution to loads of old broken crayons lying about. Great use of old broken crayons and fun too. I love that lego mould.